The mid-term elections and a Democratic majority in the house may be an indication the public seeks the truth more than anything else, and in that search for truth the Mueller investigation must go forward unfettered. 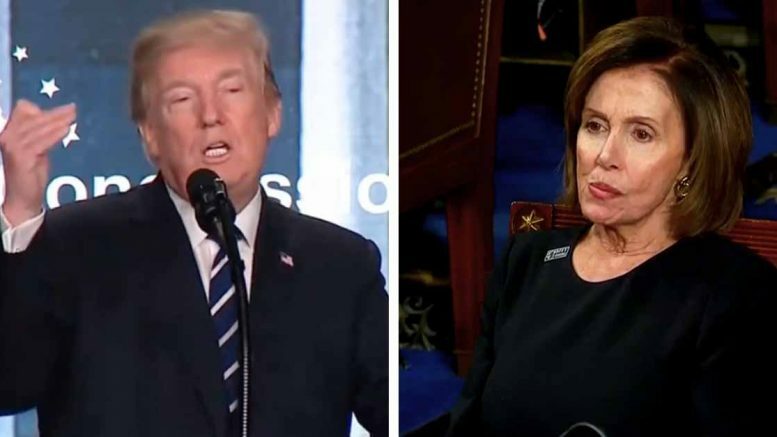 The Democrats feel they are now working with a clear mandate, and according the Rep. Nancy Pelosi, that mandate demands they look into the President’s actions. “We are not scattershot. We are not doing any investigation for a political purpose, but to seek the truth. So I think a word that you could describe about how Democrats will go forward in this regard is we will be very strategic,” Pelosi said Sunday. While Pelosi herself may have a fight on her hands to again become Speaker of the House, most believe she will prevail. Trump must now brace himself for subpoenas, a possible look into his tax returns, the Emoluments Clause, interference with the Mueller investigation, hostility and interference with the news media, gerrymandering and the census – to name a few. Of course screams of indignation will be forthcoming from the right; they are already complaining about recounts. The Democrats will be accused of stealing elections, but we know who has been stealing elections by purging voters, losing ballots and other shenanigans. Not surprisingly, It’s seems now, according to Kellyanne Conway, the president is interested in the infrastructure. He seeks legislation rather than investigation, she said. However, over the last two years the administration has done nothing for infrastructure and shown little interest in America’s crumbing highways and bridges. In the weeks ahead we can expect to hear from right wing news puppets about how the Democrats in the House are obstructing progress and wasting time. The phrases “Americans want” and “Americans expect” will flow from their mouths like melted butter on toast, but they haven’t done a thing for the Americans they will claim to be so deeply concerned about. Let their past actions speak for who they really are. The Grand Old Party has allowed a rogue president to run unfettered in Washington, insulting allies while sucking up to our enemies. They have given tax breaks to the wealthiest Americans while trying to take away healthcare away from the poorest; I could go on and on. The fact of the matter is, they could care less about what Americans want, it’s all about what they want. Before progress can be made the truth must come out and justice must be served because only then can America move forward, then, and only then, will Americans get want they want.